Birthday’s At Sea Don’t Count Right! 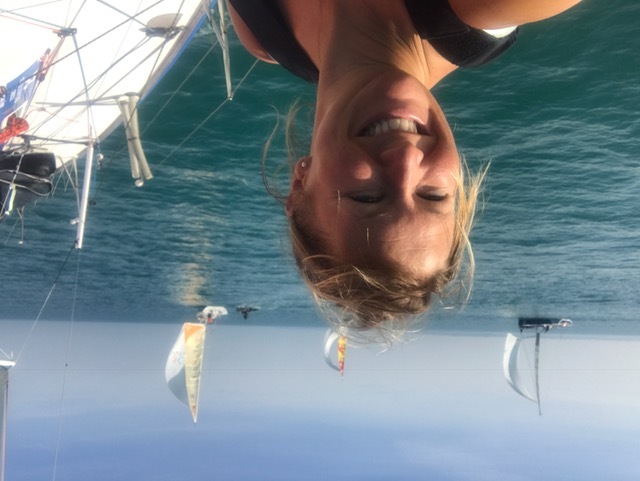 Dear fabulous fans, I am back in France in lovely Granville putting the finishing touches of my preparation together, before the big first race of the season, Solo Normandy. 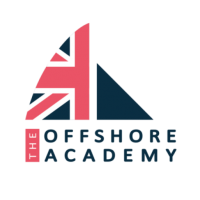 Many of the great rockstars of Offshore sailing have decided to grace us with their presence yet again, so I am looking forward to seeing what impressive moves they pull out of their offshore sailing dry bags! Whilst trying to keep up with them and potentially dazzle them with my new bright sailing kit. This race is going to be a tough tactical battle and with a big low pressure on its way there will be no shortage of wind. Not to mention it’s March, still distinctly chilly and there are still 12 hours of darkness overnight to get through. … Followed by torrential rain, freezing temperatures and howling winds the next. Since being back from Arabia I have managed a little stint of being at home and acclimatising to the European climate. I even had the chance to do several hundred loads of washing, before swapping the bikini’s for thermal layers and packing my bags once more. 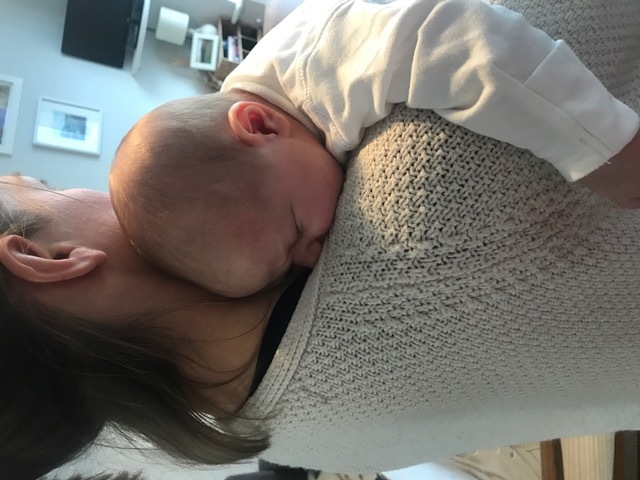 I managed to meet a brand new sailing star of the future Mr Rory Macgregor-Walsh, sleeping and giggling his way through the first few weeks of life, what a beauty! 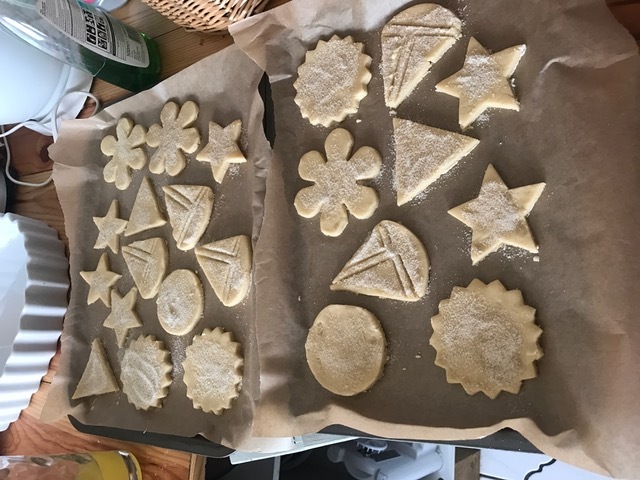 There was time for a little baking, sailing themed of course. And a chance to catch up with the most up to date copy of Le Figaro magazine. 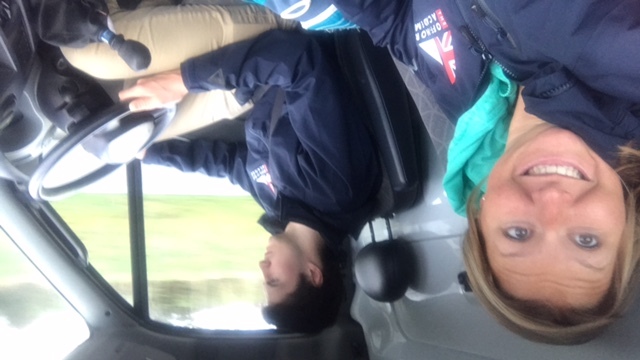 Then it was a very early start and back on the road / ferry again, we made it back onto our figaro’s and out training within two hours of landing in France. And what a beautiful day it was. 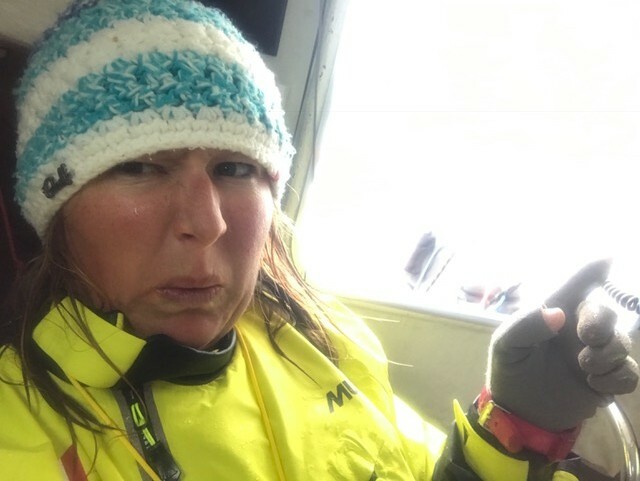 Unbelievably warm and very badly prepared for the soaring temperatures I sailed around in my bra, waterproof trousers and thick offshore boots sweating all day! Luckily the next day we were back to more predictable conditions and here I am hiding down below from the torrential, driving rain. The kind of stuff that goes straight into your eyeballs, through your skin and soaks into your soul. 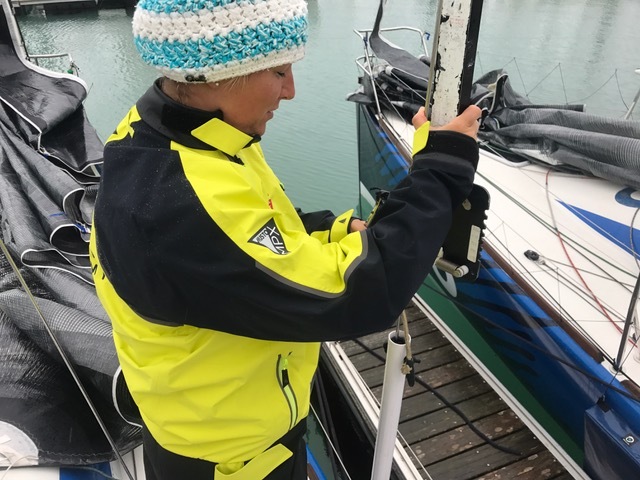 Luckily we have had a delivery of beautiful new sailing kit from our lovely sponsor Musto and together in our matching yellow we gave it all a good first test. I’m thinking a pair of marigold’s might finish off the look and prevent this prune-y hand problem. So now its off to complete the final checks on the boat, pack up exactly 80kg of safety gear, water, food and kit ready for race day Friday. 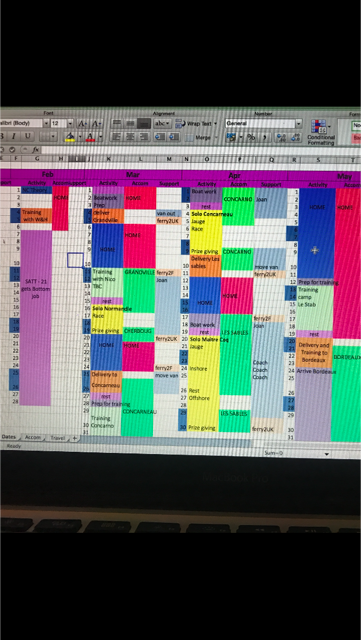 With the terrible forecast on Saturday 18th otherwise known as MY BIRTHDAY the race organisers in their wisdom are not committing yet as to what the best course of the race will be. 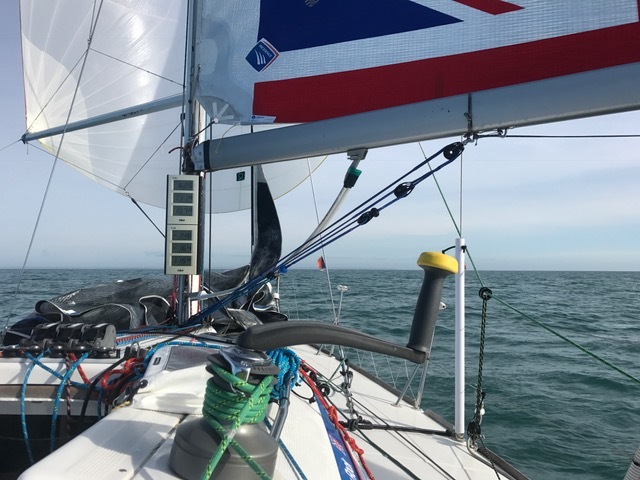 We have been given 3 options and await a further forecast in the morning to decide if we will do laps around the Channel Islands or brave sticking our little boaties out into the channel and potentially 40knots of wind and enormous waves. So we will see, but here is to hoping the forecasters have got it all wrong and the view I will see for another birthday all alone at sea will be this, going downwind, with blue sky and dolphins.